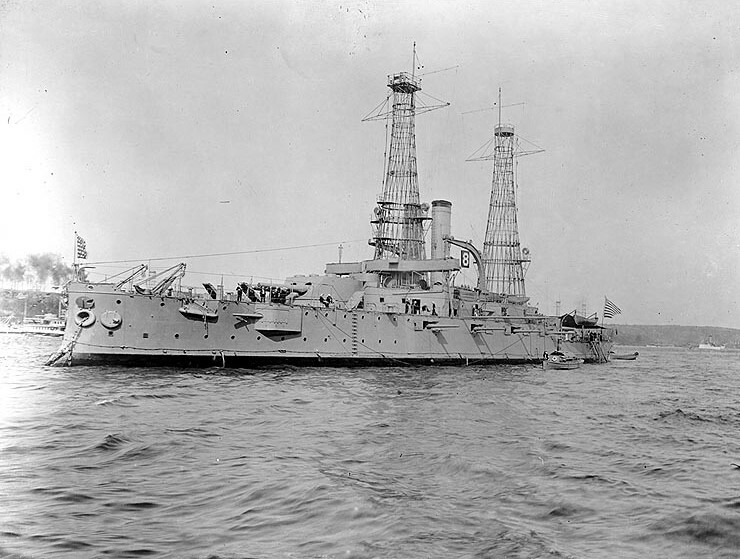 USS Wisconsin seen after her June 1909 refit. 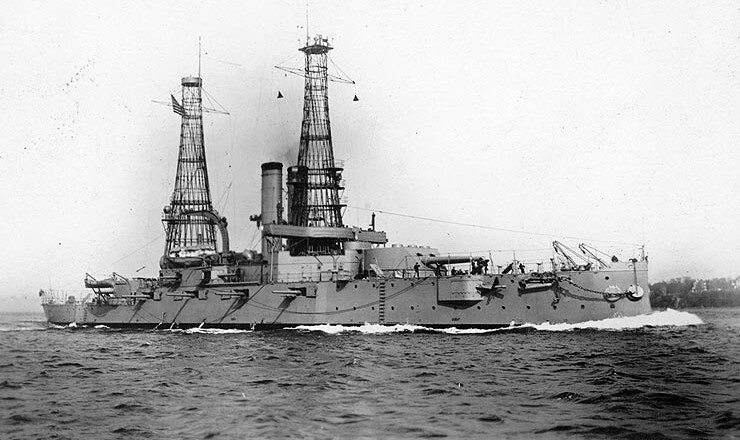 USS Wisconsin seen in 1912. 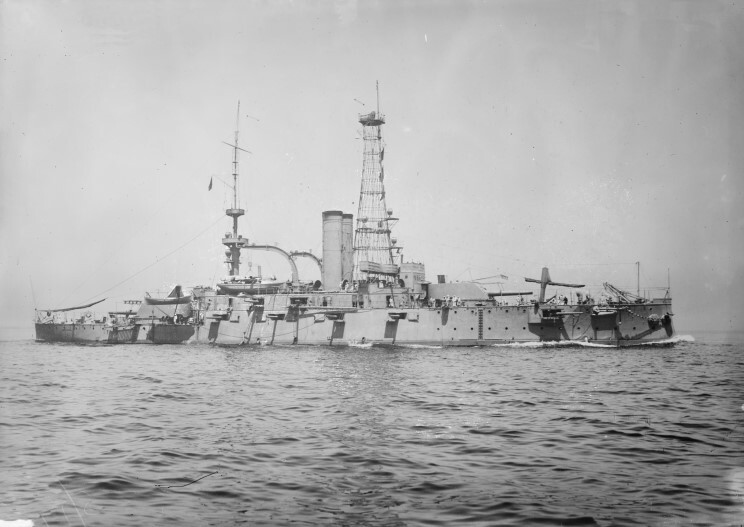 October 12, 1912: USS Wisconsin at the Naval Review in New York. 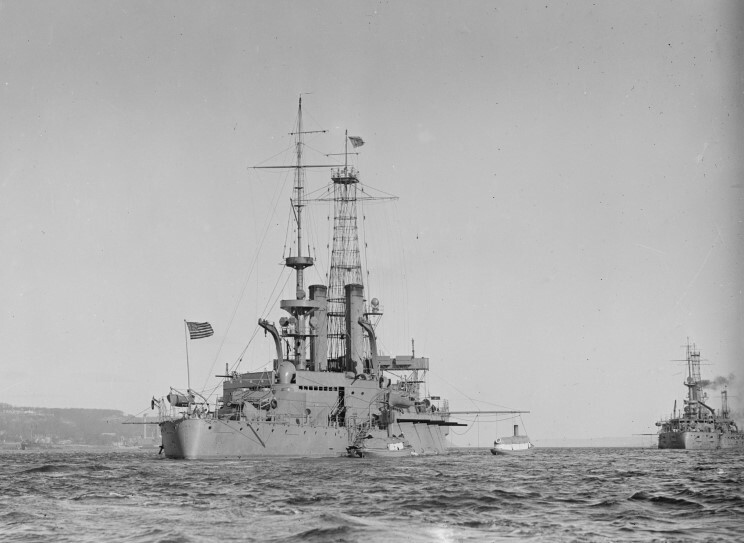 USS Wisconsin seen in 1918. 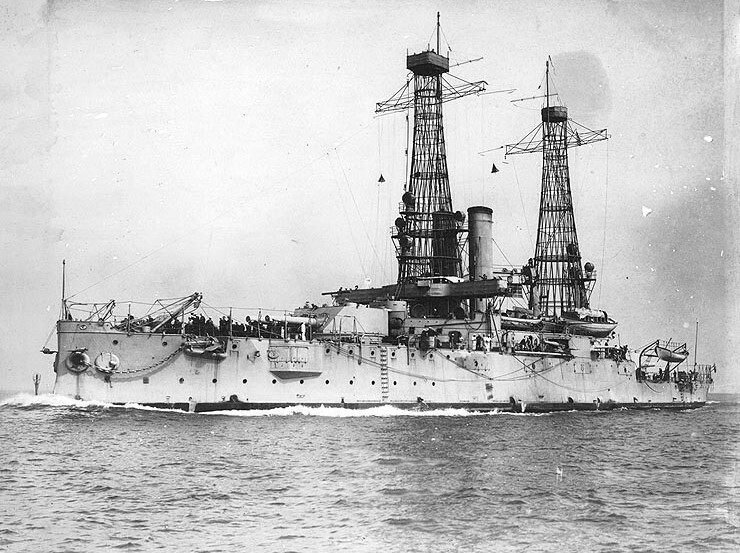 Postcard sent from USS Wisconsin, the reverse side reads "Thanksgiving Greetings, USS Wisconsin, Nov. 28, 1918." 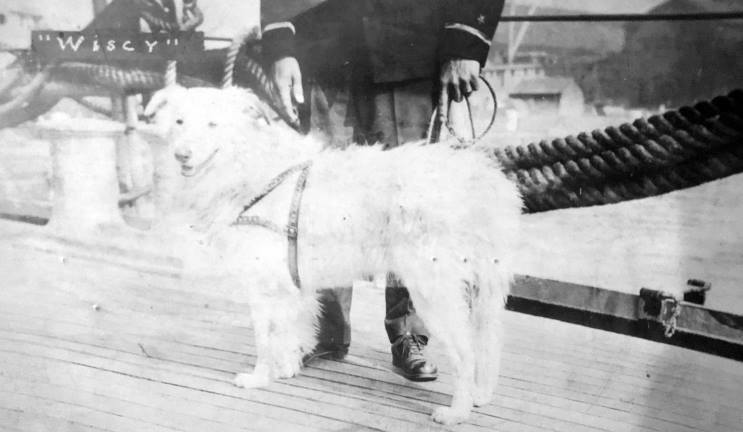 The photo shows a dog named Wiscy, which may have been the ships mascot.